Welcome home our latest Champion! 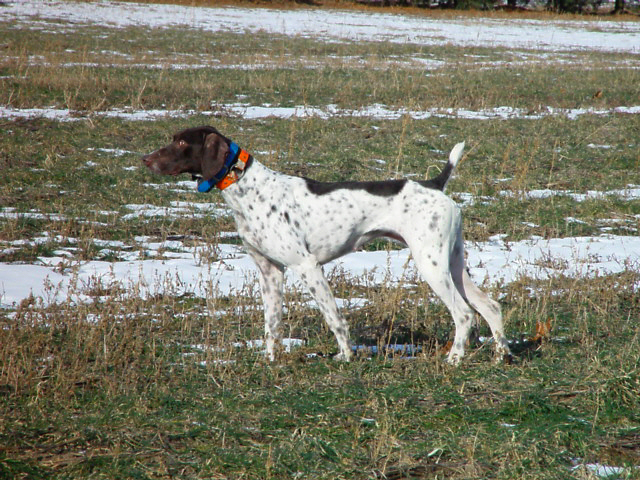 Fritz is a three year old male out of Harrisons Blue Jesse and Star's Lacy Baby. 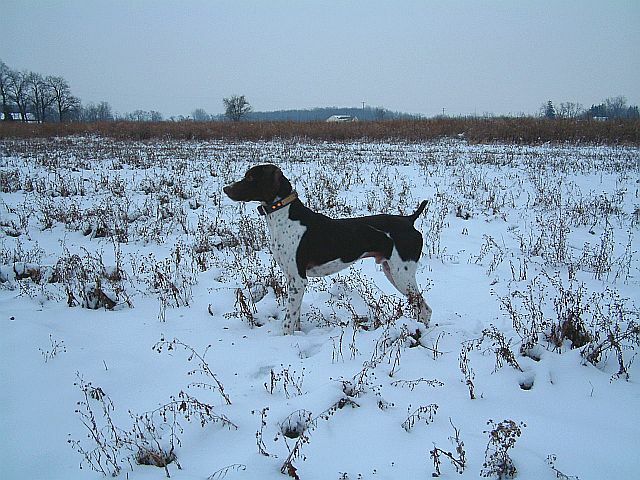 He is a double bred Dixieland Rusty breeding. Fritz began his trial career in May 2002. Fritz has accumulated 49 points in his short career and is already a 2x champion. 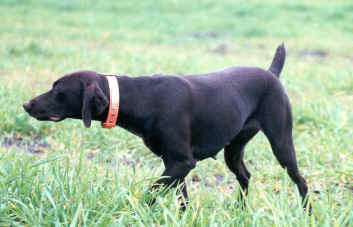 Fritz made the final 16 dogs at the 2002 Quail Unlimited dog of the year out of 128 entries. 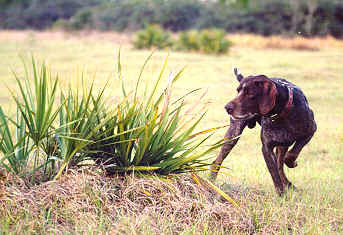 At the NASTRA 2002 dog of the year trial Fritz ended up with the final 24 dogs!He placed third runner up at NSTRA 2003 dog of the year,out of 196 entries. This dog shows more potential than any shorthair I have worked with to date. He has a tremendous amount of speed and lots of bottom.He is proving his worth again and again.